LEGO is the largest producer of tires in the world, holding the Guinness Book of World Records for “largest tyre manufacturer per annum” at 318 million tires made per year. 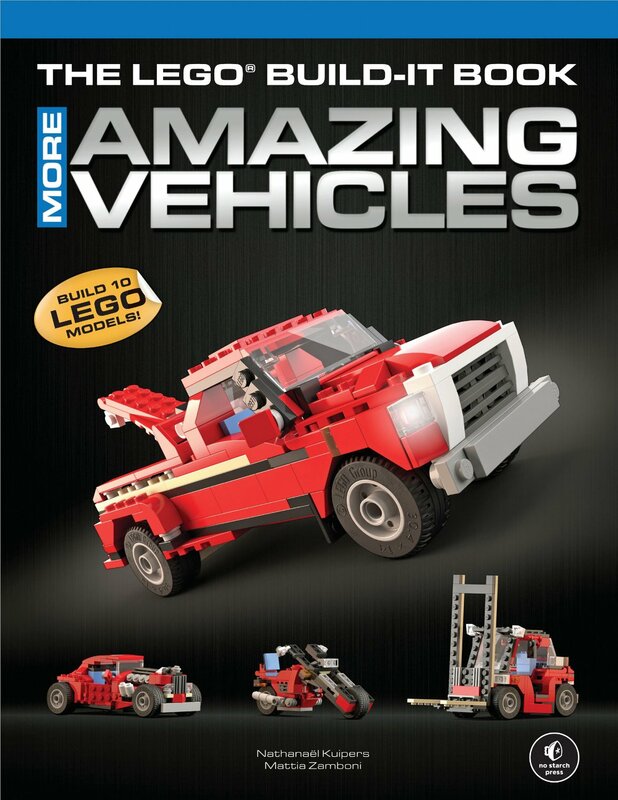 With that many LEGO tires out there, it only makes sense that LEGO fans would create their own cars, and No Starch Press has given the directions to create custom vehicles in The LEGO Build-It Book Volume 1: Amazing Vehicles and Volume 2: More Amazing Vehicles. I should point out that Amazing Vehicles and More Amazing Vehicles are two separate books, but my review of Volume 1 got delayed, and I received Volume 2 in the interim, so it only made sense to review them together since they compliment each other. Both books were written by Nathanael Kuipers, a former LEGO designer who worked on Technic vehicles for The LEGO Group, so the pedigree of the designs are of a professional level. The directions are laid out by Mattia Zamboni, a digital graphic designer who brings a quality on par with those in actual LEGO sets. Most LEGO books give a parts list that are required to build the designs in the book, but The LEGO Build-It Books take a unique approach. If you own a copy of set 5867 – LEGO Creator Super Speedster then you are set. All the required parts can be found in that one set to build any of the 20 designs that can be found across the two books. Unfortunately, these two books came out in 2013 and the LEGO Creator Super Speedster was retired at the end of 2011, which means that the set has increased in value before the books ever came out, and it would be cheaper to buy the individual pieces, a process which can be arduous. The directions in the books are well laid out and easy to read. The vehicles are all well detailed and have intricate looks to them while keeping the builds simple enough. The builds start out easy and get progressively more advanced in their complexity, with an indicator on the first page of each design showing complexity, functions, and pieces. Sprinkled throughout the books are advice and techniques on how to build with LEGO, so the reader is not constrained to the designs within the books, but can be inspired to build their own vehicles as well. Giving advice about building techniques, detailing, parts, and even vehicle layout advice gives the uninitiated reader a good launching point to make their own cars, trucks, motorcycles, or whatever other vehicles the builder can imagine. 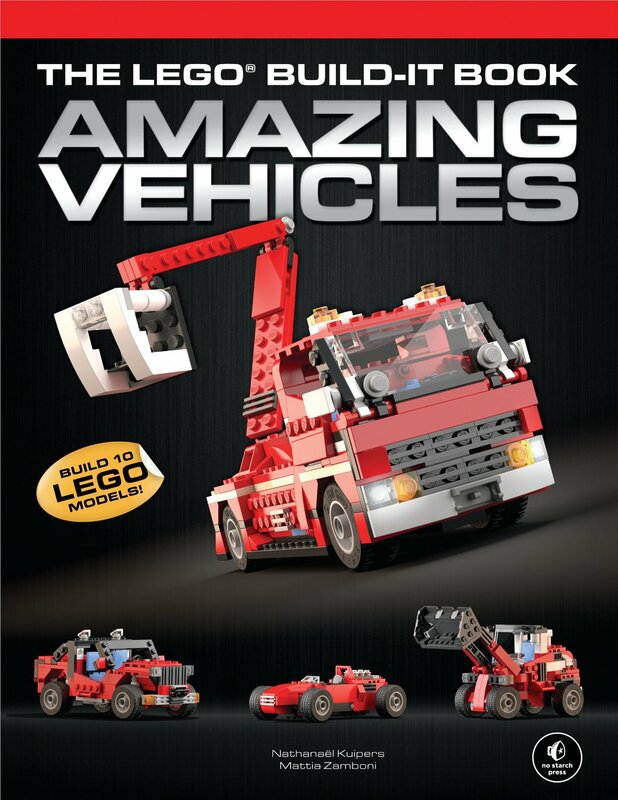 The LEGO Build-It Book Volume 1: Amazing Vehicles and Volume 2: More Amazing Vehicles are great resources for anyone who wants to build vehicles. Clear, concise directions and excellent models are the book’s strong suits, but recommending the purchase of a set that has been unavailable for almost two years before the books were released is quite an oversight. With that one exception, they are great books and a valuable resource for anyone who wants their cities to come alive with vehicles.